Benjamin has become involved with the following charities and organisations as they are important to him on a personal level. Below you will find a brief description of each and why they mean so much to him. Jeremiah's Journey is a charity local to Plymouth and the surrounding area that was set up to ensure that children, young people and their families have access to support at times of grief. The charity works with children and young people who have been bereaved or are facing bereavement, and provides support in an environment with peers who all have experienced or are experiencing similar circumstances. The work of the charity aside from the sessions aims to allow the children to be children in a safe environment with people that understand. They work with local businesses and attractions to plan days out in order to allow them to create new happy memories in a difficult time, and enabling them to carry on when it can feel as if the world is falling apart. And this is where Benjamin comes in, one of the things he is involved in is hosting a day out at Dartmoor Zoo for the "Stepping Stones" group, which is made up of children and young people who have a terminally ill family member. They and their families came and had a day at the zoo in 2014 and met some of the animals, a great day to remember for all! The group has also been given passes so that they can visit the zoo whenever they like and will be back for another day at the zoo in July 2015. 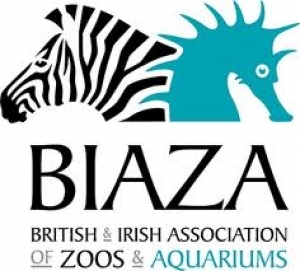 The British and Irish Association of Zoos and Aquariums (BIAZA) is the professional organization representing the zoo and aquarium community in Britain and Ireland. Founded in 1966 (as the Federation of Zoological Gardens of Great Britain and Ireland), it is a conservation, education and scientific wildlife charity. Today, almost all significant zoos and aquariums, including Benjamin's Zoo - Dartmoor Zoological Park, are members of BIAZA, which is their coordinating and representative voice. Due to his background and media and broadcast experience, Benjamin has now been asked to be on the BIAZA Communications and Development Committee (C&DC). C&DC advises the BIAZA office with regards to marketing and PR, oversees any promotional activity, campaigns and communication on the work of members to the community at large. He is uniquely placed to be on this committee as he has the rare insight of an insider, being a Zoo Director himself and being knowledgeable about regulation, and also as an outsider looking in, thanks to his journalistic experience. Benjamin is looking forward to beginning his time of the committee, and will work towards the aim of making zoos less mysterious and more accessible to the public, and of educating and engaging with the 24 million people who visit UK zoos every year. He would also like to work with the committee towards being more responsive to external events and actively engaging in key debates. This will also involve defending zoos against their unthinking critics. He is keen to ensure that the valuable, and vital, work in conservation and research that zoos are involved in to help increase numbers of endangered animals and protect the habitats of the wild is highlighted and celebrated. Grow 4 Good Southwest is an incredible charity run by the fantastic Dave Sharp that Benjamin is extremely proud to support by providing a piece of land at Dartmoor Zoo, offering the zoo grounds as an area to be worked on by the volunteers and referrals, and by purchasing their produce through the restaurant. Grow 4 Good supports young individuals at risk of exclusion by helping them overcome barriers to integration. They provides opportunities for people at risk of social exclusion to learn about and engage with organic gardening and nursery stock production. Its unique location within a Zoo environment, with close proximity to a range of wild animals with conservation as the highest priority, offers extraordinary learning opportunities unavailable elsewhere. The project helps improve their personal, social and life skills, providing a sense of identity by being a member of a working community. Grow 4 Good benefits a range of people with special focus on youths at risk of becoming engaged with crime. The overriding aim is to provide an environment to benefit vulnerable or socially disadvantaged people, providing learning opportunities to help them become better integrated within the community. They gain skills,confidence,self-sufficiency and self-esteem, some becoming ready for training or work, enabling them to participate more fully within society and within their own communities. Grow 4 Good makes a significant difference to those involved: Being physically active outdoors improves physical & mental health. Learning & working together increases self confidence, self-esteem & social skills. 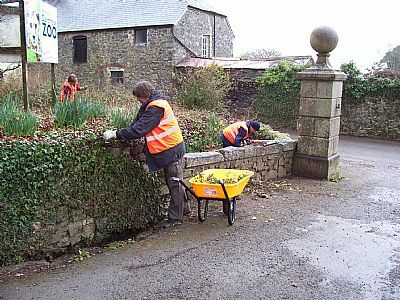 Gaining knowledge & new skills within a range of horticultural tasks, boosts chances of employment. Developing commitment, sense of identity and belonging through the provision of new, transferable skills, whilst working within a team, will aid integration within the wider community. 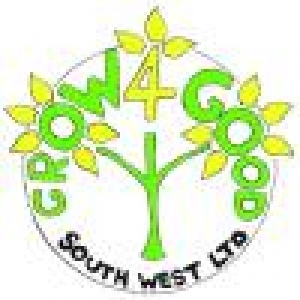 Grow 4 Good is going from strength to strength, gaining recognition for the benefits that engaging with the project is providing by schools, social services and GPs, and they now are taking referrals. To find out more information visit their website, facebook page or their Localgiving page. Benjamin and his family own Dartmoor Zoological Park, which, as of 2015 is now being run by the charity Dartmoor Zoological Society, of which Benjamin is a trustee. Benjamin is dedicated to investing in Dartmoor Zoo, improving it for the animals and at the same time expanding it's very strong Conservation and Research programme. Benjamin strongly believes in the place of Zoos in society for conservation and research aimed at protecting endangered and threatened species and better understanding these animals. What is discovered through research can then be applied to programmes in the wild aimed at increasing their numbers. His background in science communication also means he is highly concerned with communicating conservation issues to the public in order to create a better understanding of the issues facing animals and also the nature of zoos and how they are battling to protect and save animals. The Conservation and Research programme at Dartmoor Zoo covers a variety of subjects at all academic levels and has strong links with local universities and colleges which enables research into cognition, behaviour, conservation, animal welfare and breeding. 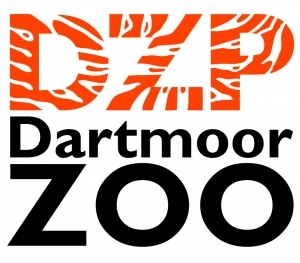 Dartmoor Zoo also creates projects which examine aspects of the social sciences, including visitor attitudes which measure the effectiveness of their education and science communications activities. The dedicated research team composed of staff and Academic Placement students create, undertake and review research programmes throughout the year. Over the next year, they plan to extend links with scientific institutions and further develop their in-house research team. 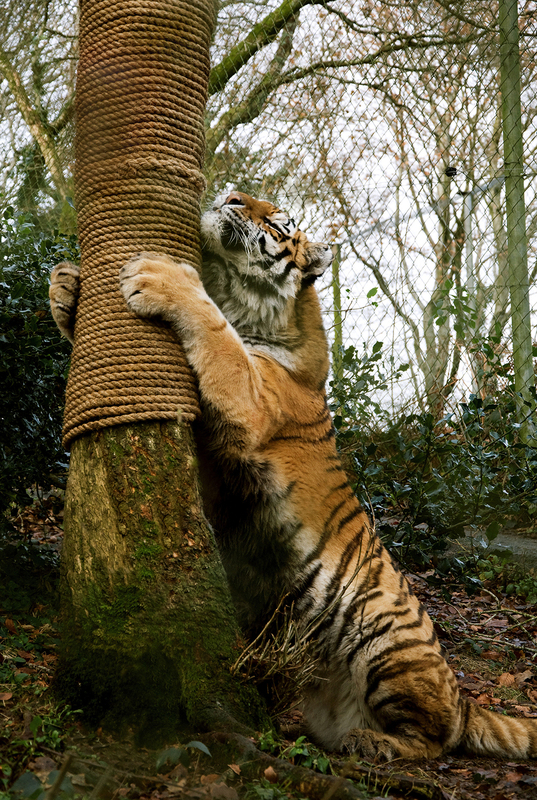 Dartmoor Zoo currently has breeding programs to help safeguard species against the threat of extinction. These programs are often long term and involve extensive planning and expertise on issues such as biology and enclosure use. Breeding programs currently underway include Bicoloured Frog and Azara's Agouti. Observing animals can teach us a lot about how they socialise, learn and adapt. It can even unlock clues as to our own development. Most studies at Dartmoor Zoo come under the heading of ‘behaviour’ and they can go a long way to learning more about the animal kingdom and ourselves. It’s not just the animals that are studied at Dartmoor Zoo. They want to know how well we teach the public about animal conservation and how well we can make this even better. 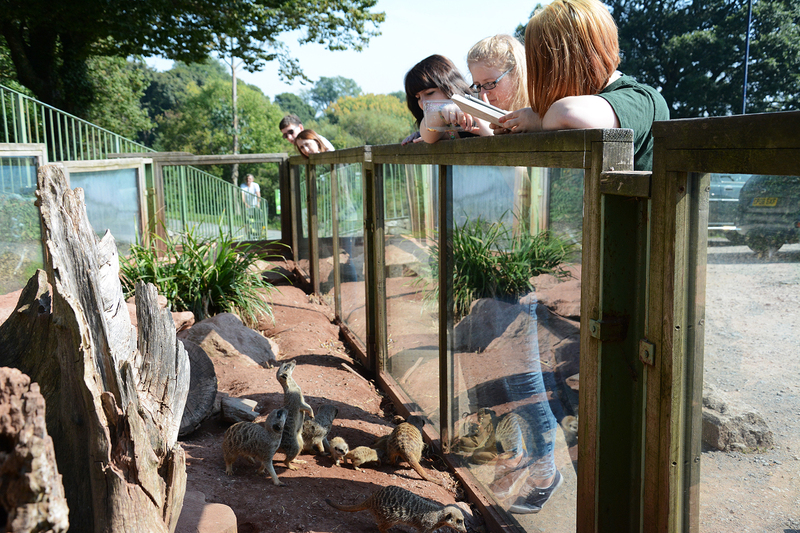 Studies with Plymouth University are investigating the attitudes of the general public toward conservation and measuring how much the zoo can affect those attitudes positively. The results will help them and other zoos to improve the way they teach about conservation. Research on the animals is helping to improve the way in which captive animals are cared for. Dartmoor zoo has studies looking at enclosure use, enrichment and nutrition which are helping to create ways to better improve animal welfare supported by reliable scientific evidence. Launched in 2009, the Brain Tumour Research charity is committed to funding sustainable research into brain tumours, the biggest cancer killer of children and adults under the age of 40. It supports one of the UK's largest dedicated groups of laboratory-based scientists progressing world-class research into brain tumours to improve treatments, survival rates and quality of life for patients and ultimately find a cure. With only 1% of the national spend on cancer research having been allocated to brain tumours, the Brain Tumour Research charity is also influencing the Government and larger cancer charities to increase funding for research into brain tumours. Benjamin became involved after being approached to assist with the "Conquer It Together" campaign which aimed to raise £1million for a new Centre of Hope. The idea behind the fundraising push was for people to get sponsored for stepping out of their comfort zone, whether to face a fear or to do that challenge you've always wanted to do but just never had the guts. Benjamin helped Olympic rower Mark Foster MBE, Patron of Brain Tumour Research to face his life time phobia of snakes. He is now an Ambassador for the charity. For Benjamin, brain tumours are a personal issue. He lost his wife, Katherine, at the age of 40 to a brain tumour shortly after buying Dartmoor Zoo in 2006. You can read Katherine's story, written by Benjamin for Brain Tumour Research, here. Download the press release for the "Conquer it Together" event here. 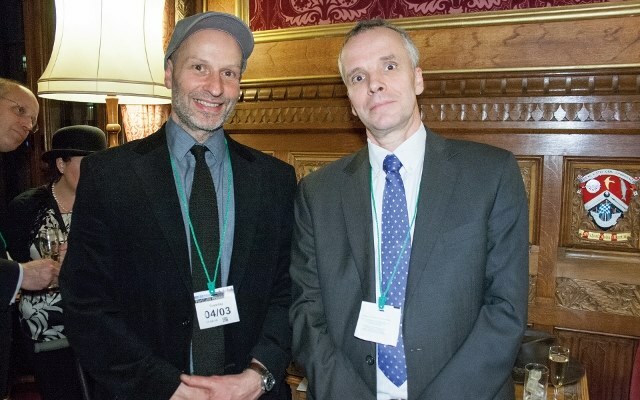 On 4th March 2014, Benjamin went to Parliament to speak for Brain Tumour Research at the launch of a ground-breaking new collaborative partnership between the charity Brain Tumour Research and Plymouth University Peninsula Schools of Medicine and Dentistry. It means a lot to Benjamin that his local University is now a key centre in the battle of this illness. Plymouth University Peninsula Schools of Medicine and Dentistry will now become an active research and fundraising partner with Brain Tumour Research. The charity will support research and supply dedicated members of staff with expertise in fundraising, marketing and PR to work at both local and national levels alongside existing teams, creating a dynamic fundraising programme. You can see the news article here and the press release here. SaMM, which operates in Totnes, Devon, is a charity that was set up to enable young people aged between 8 and 18 years to get involved in music-making through workshops, ensembles, individual lessons, and performance. 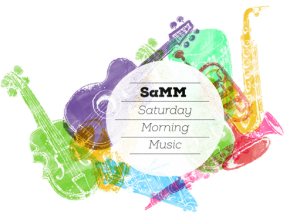 SaMM provides a range of workshops to suit all musical tastes and abilities including jazz, folk and singing, as well as instrumental ensembles. They offer music-making to those just starting out, whilst also encouraging confident players to gain ensemble experience and develop their skills. SaMM started in November 2000 and is now attended by over 100 young musicians. Benjamin truly admires this chaity that aims to make music affordable and accessible to all. His two children attend each week and are thoroughly involved in all aspects of the services that SaMM provide.